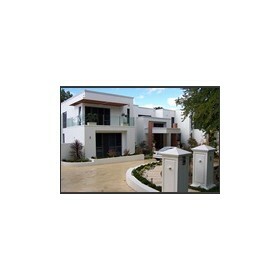 Pacific Builders is a Sydney based company that provide services in Sydney, Canberra, Melbourne and Adelaide. Pacific Builders consist of four specialty arms home development, construction, industrial supply and professional contracting. We pride ourselves on our ability to assist on any sized project throughout Sydney, Melbourne and Canberra regions. Whether you need building contractors for a commercial or Residential development, Pacific Builders can meet your needs. With our superior contacts within the construction industry and large network of building contractors, Pacific Builders can service you from project start to completion. This means that you only have to deal with the one building company and you remain in complete control over the project. We can ensure all of our builders and building contractors complete every job with the highest degree of professionalism. Our building contractors follow all workplace health and safety regulations and leave the work-site clean. Our teams of building contractors are skilled in completing tasks efficiently and at the highest standard to ensure your project is completed with your set time frame and budget. We provide only the best in customer service and complete the job on time and budget every time. In every project we do we take pride in our craftsmanship, and have a passion for our customer satisfaction while ensuring that our work is done with perfection in mind.